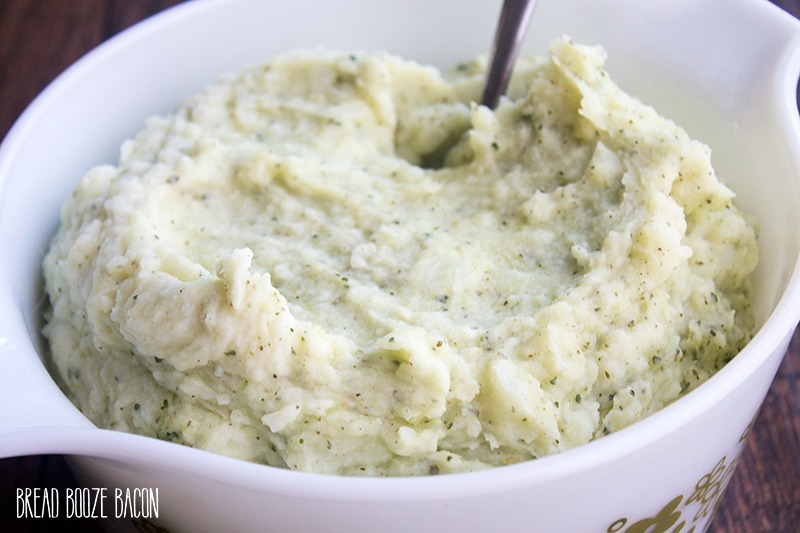 One bite of these creamy, flavorful Pesto Mashed Potatoes and you’ll be hooked! It’s the perfect side dish for your next holiday meal! We’re a total meat and potatoes family. If my husband could ask for anything for dinner it would be steak & potatoes or chicken parmesan. So, like the awesome wife I am, I pretty much always have a bag of potatoes sitting on my counter. I’ve made baked potatoes, mashed potatoes, roasted, potatoes, scalloped, the list goes on and on. And today I’m changing it up! 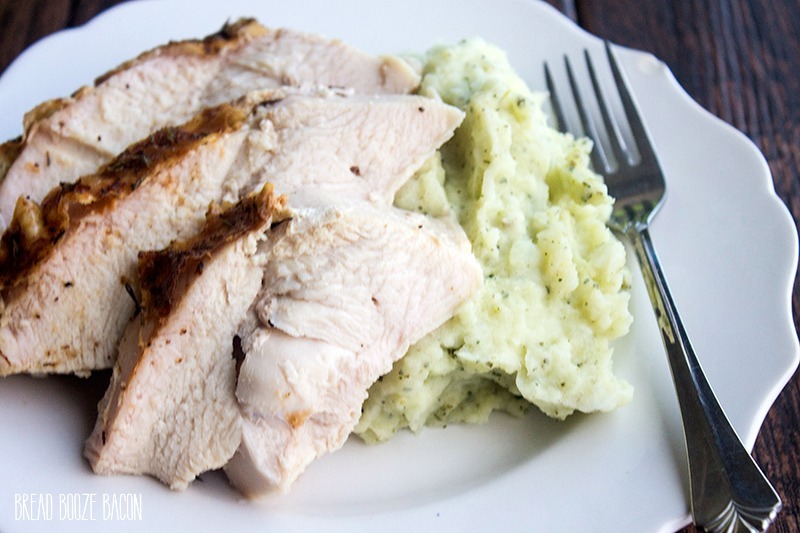 These pesto mashed potatoes are fantastic! Just a couple simple add-ins make this dish a total game changer. The Parmesan cheese gives the potatoes a nutty tang and the pesto a depth of flavor. You can always add more of each if you’d like, but this recipe is how we liked it. I served these potatoes alongside some roasted turkey and dinner was magical! 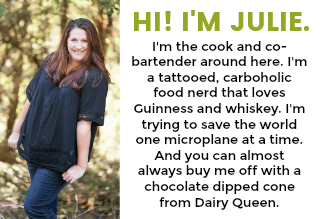 Both recipes were delicious by themselves, but together? WOW!! 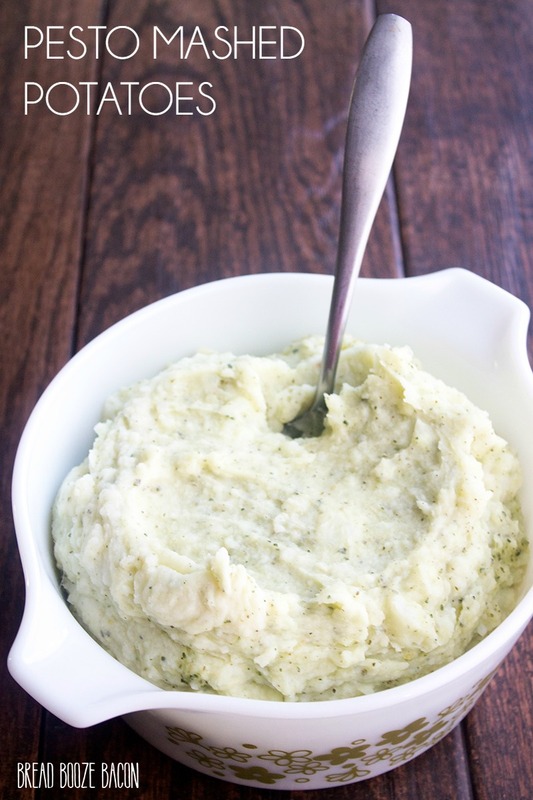 One bite of these creamy, flavorful Pesto Mashed Potatoes and you'll be hooked! It's the perfect side dish for your next holiday meal! Fill a large pot ¾ of the way full with water. Bring to a boil over high heat. 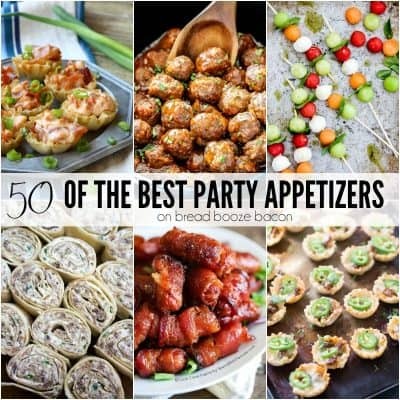 While the water boils, peel the potatoes, rinse them, and cut each potato into ½-inch cubes. Add the potatoes to the boiling water. Once the water returns to a boil, reduce the heat to medium-high. Stir the potatoes occasionally and cook until fork tender, about 20 minutes. Add the butter and use a potato masher to break up the potatoes and incorporate the butter. Pour in the rest of the milk and use a wooden spoon to incorporate the milk into the potatoes until smooth. Add in the pesto and Parmesan cheese. Stir until well combined and the cheese is melted. Season with salt and pepper, to taste, and mix to combine. Cover to keep warm or serve immediately.